By Garett Sloane . Published on February 09, 2017. 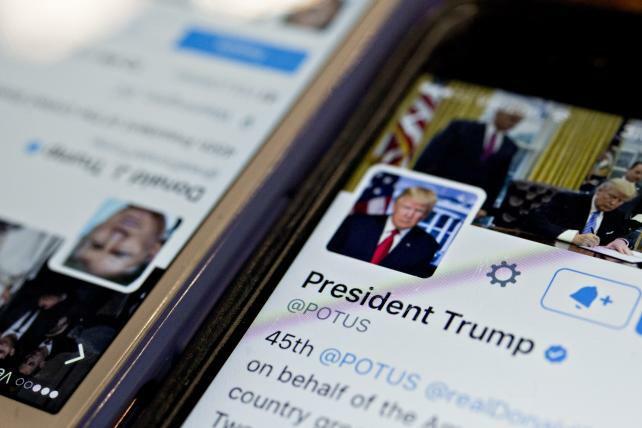 Twitter said activity rose on the service, which has seen increased attention since Donald Trump entered politics. So much for Twitter's Trump bump. Twitter suffered its first decline in ad revenue since becoming a public company in 2013. On Thursday, the service announced quarterly results showing $638 million in ad sales over the holiday period, which dropped from $641 million at the same time in 2015. Twitter's ad revenue had seen slowing growth most of last year, but this is the first time it has seen ad sales fall like this. "Revenue growth will continue to lag audience growth in 2017," Twitter said in its earnings release. "And [revenue] could now be further impacted by escalating competition for digital ad spending and the re-evaluation of our revenue product feature portfolio." Twitter is struggling in face of competition with Snapchat, Instagram and others vying for the same ad dollars. Snapchat is set to test Wall Street's appetite for its business by going public this year. Twitter's stock has plummeted over its poor performance. Late last year, there had been hope that having President Donald Trump as a star user of the service would translate into more users, more activity and more ads. Twitter's COO Anthony Noto said the president was not a driving force and could not lead to meaningful growth on his own. "The president's use of Twitter had broadened the awareness of how the platform can be used and it shows the power of Twitter," Mr. Noto said in a call with Wall Street analysts. Twitter did say that user activity surged, with time spent and tweet impressions growing in the double digits. The company credited an improved timeline, which now shows more relevant tweets to people and not just the latest one, with captivating more attention. Mr. Noto said that Twitter has tens of billions of tweets a quarter, a massive haul of messages, which is now growing at a double-digit clip, meaning more than 10%. Still, monthly user growth was mostly flat, and only rose 4% to 319 million people. Twitter does not release daily active user figures, which has vexed marketers and investors. Twitter has started releasing daily user growth percentages, but an 11% rise in daily users can't be put in context without knowing how many it initially had. Overall, Twitter saw a 1% growth in revenue year over year thanks to a bump in data licensing dollars. At this time last year, revenue grew 48%. Twitter blamed slow revenue on advertisers cooling on the platform last year, which is now showing up in the bottom line. The company hopes it can translate its latest efforts with the improved timeline and more video into greater advertiser commitments over the coming year.